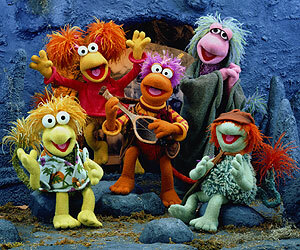 HIT Entertainment (HIT) and The Jim Henson Company (Henson) have reached an agreement on a five-year global rights and production venture, bringing together two of the biggest names in children's television. The deal was announced today by Peter Orton, Chairman of HIT Entertainment, and Brian Henson and Lisa Henson, Co-Chairs and Co-CEOs of The Jim Henson Company. HIT, owner of leading pre-school properties including Bob the Builder, Thomas & Friends and Barney, will distribute Henson's award-winning classic family properties across many platforms, including television, home entertainment and consumer products. 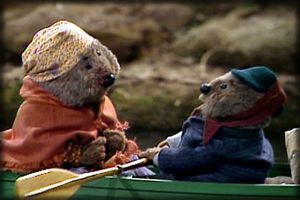 The 440 hour strong Family Classics portion of Henson's catalogue includes the ACE Award-winning titles Fraggle Rock and Emmet Otter's Jugband Christmas, BAFTA Award-winning Jim Henson's The Hoobs, BAFTA nominated Jim Henson's Construction Site, Jim Henson's Mopatop's Shop, and Emmy Award-winning Jim Henson's Mother Goose Stories. The deal does not include titles involving the Muppets or Bear in the Big Blue House, the rights to which were recently acquired by The Walt Disney Company. In addition to the distribution deal, the arrangement provides for the production of new properties, which will also be distributed by HIT. The first of such projects is Frances, a new pre-school program based on the best- selling Frances Treasury series of books. This deal is the first formal collaboration between the two companies, although they have a common heritage with HIT's founder Peter Orton who previously led Henson's international TV sales division. HIT Chairman Peter Orton said, "I am absolutely delighted to be announcing this partnership today. The Henson name stands for outstanding quality in programming and we are confident of being able to maximise the value of these excellent properties. The combination of Jim Henson programming and our own pre-school classics presents a formidable portfolio of young children's properties. We are especially pleased to be forging such a close and strong relationship with The Jim Henson Company, given the shared legacy of both companies." 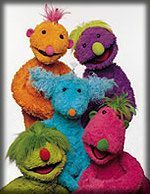 Brian Henson, who with his sister Lisa is Co-Chair and Co-Chief Executive Officer of The Jim Henson Company, said "Given our long history with Peter Orton and his team at HIT, we're thrilled to be working together with them again. As we continue to form strategic alliances across all our businesses, HIT is especially well-suited to help us realize the full potential of the Family Classics portion of our catalogue." Lisa Henson said, "HIT's demonstrated success with many well-known brands makes them an ideal co-production partner for our new preschool properties such as Frances. The show, using Henson's proprietary CG animation technology, will be one of the most innovative productions ever created for young children. We look forward to developing other imaginative and exciting projects with HIT under this new venture." HIT Entertainment PLC is one of the world's leading independent children's entertainment producers and rights owners. The company includes live action and animation production studios in both the US and UK as well as home entertainment, licensing and publishing operations. In addition to this HIT produces stage show and live events which are enjoyed by millions worldwide. HIT's famous characters which include classic global brands such as Bob the Builder, Barney, Thomas & Friends, Pingu, Kipper and Angelina Ballerina are enjoyed by children in over 150 countries and territories. The Jim Henson Company, an established leader in family entertainment for nearly half a century, is recognized worldwide as a leader in puppetry, animatronics and computer graphics. Best known as creators of the world famous Muppets (the rights to which are now owned by The Walt Disney Company), Henson is the recipient of nearly 50 Emmy Awards and nine Grammy Awards. Additionally, Jim Henson's Creature Shop has received two Academy Awards for the visual effects and animatronic builds for the 1996 smash Babe, and the invention of the Henson Performance Control System-a powerful, custom-built puppeteering mechanism. Recent projects include the Emmy nominated Farscape, the family film Good Boy! and the upcoming feature Five Children and It starring Eddie Izzard as the voice of "It". Headquartered in Los Angeles with offices and production facilities in New York and London, The Jim Henson Company's website is located at: www.henson.com.